Interested in learning more or starting up a community cat relocation program in your organization or area? The following short videos will provide you with information and tips to do just that! We highly recommend watching the following videos in descending order as well as checking out the additional resources and tools located on this page. After viewing all of the videos, take the quiz at the bottom of this page and receive a Certificate of Completion! Monica Frenden, the head of Austin Pet's Alive! 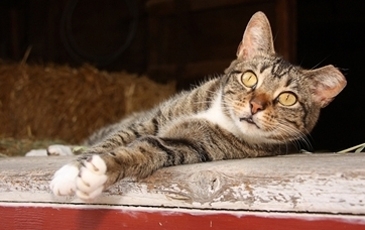 Barn Cat Program, will tell you about how their program got started and the different practices they use to make it a success! What exactly is a community cat? What is the largest obstacle facing community cats? Learn this and more in the following short video. There are several different options for placing community cats once they have been brought into a shelter or rescue facility. In this video learn the different types of placement options and which types of community cats work best for each placement option. Learn how to convince your board to start a community cat relocation program as well as what supplies are recommended in this short video. Depending on whether or not your program is directly involved with trapping community cats, this video shows various low stress capture techniques when using humane live animal traps. How do you decide if a cat is a good fit for a relocation program versus an adoption or TNR program? Learn how in the following video. Being brought into an animal care facility can be frightening for any cat which can make it difficult to determine whether or not a cat is truly unsocialized or a socialized but frightened cat. This video will give you a few tips on how to tell the difference. The goal should be to place a community cat in their new adoptive home as soon as they enter your program, however this may not always be possible. You should create a housing plan for both short-term and long-term residents. Learn about potential indoor and outdoor housing options for community cats, while they are in your program, in the following video. 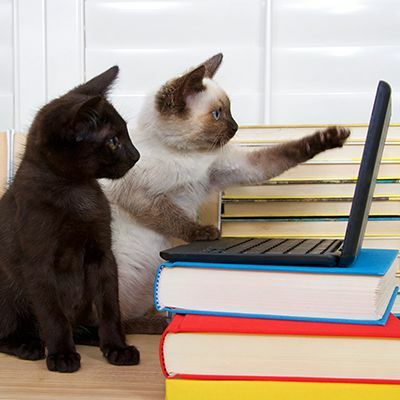 Get tips for finding adopters for your community cats in this short presentation. Some community cat relocation programs even have a waiting list for adopters when demand exceeds supply! Implementing an adoption process is essential to any type of adoption program and relocation programs are no different. Don't have one yet or looking to revamp your current adoption process? Here is an example adoption process and adoption policies. Congratulations on finding a home for one of your community cats! Next, learn how to best ensure a smooth transition for both the cat, as he adjusts to his new home, and the adopter. Congratulations! Now that you have watched all of the videos, click here to take the quiz and receive a Certificate of Completion!